I love this industrial chic look! 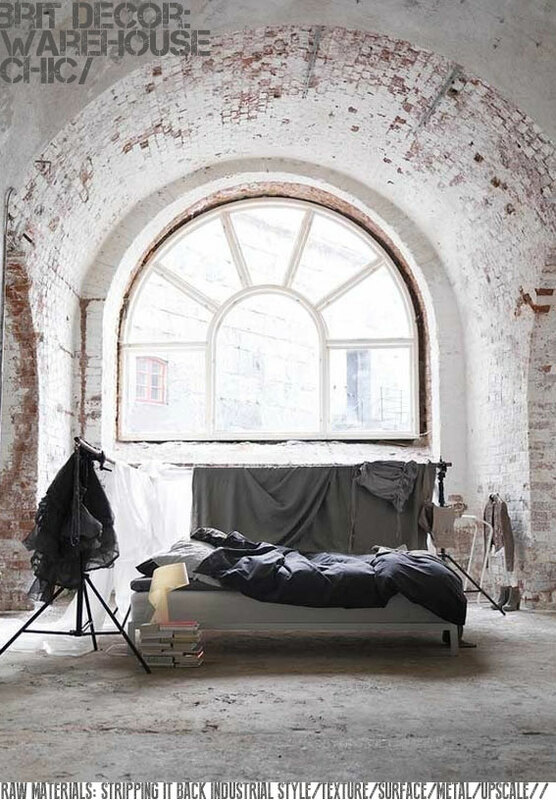 The scheme is simple and uncomplicated but at the same time bursting with light from the elegant arched window which is surrounded by a multitude of different textures. 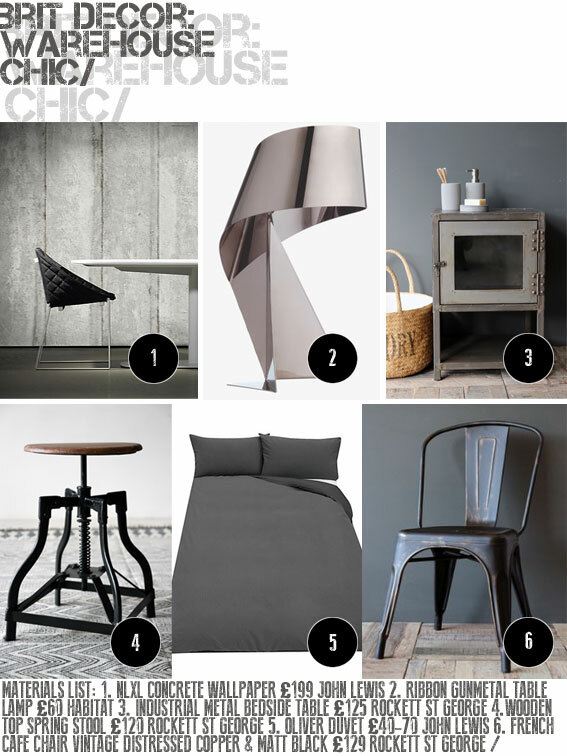 If you are thinking of creating your own industrial-style interior, opt for a simple palette and accessories with a hard edge - metals will set the scene alive. The items that I have picked (above) resemble a fusion of Rockett St George meets with All Saints fashion branding. I really like the growing selection of industrial graphic print wallpapers coming onto the market. The print above, from John Lewis, will work perfectly for anyone striving for a minimal urban look with an industrial edge to it. Great post, Mike - I love a shot of metallic mixed into a rustic warehouse space and the Ribbon lamp from Habitat is perfect for that. Thanks Will, my thoughts exactly! Wouldn't it also be cool to see some of your quintessential colour added to this type of industrial setting. Imagine that...wow!